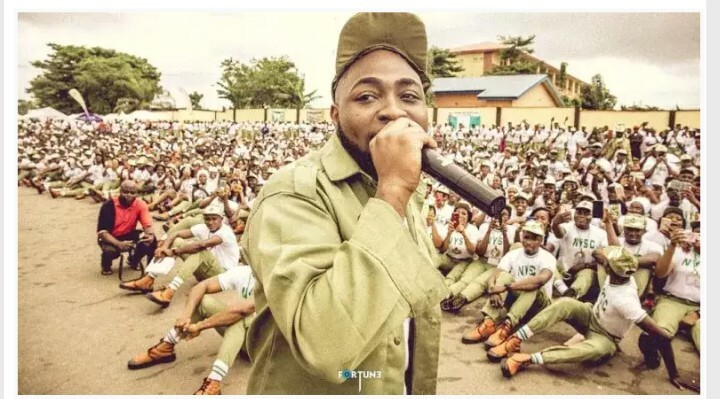 Famous Nigerian music art, David Adeleke, with the stage name Davido, has disclosed on social media that the National Youth Service Corps (NYSC) has stopped him from participating in the program he only began few months ago. Davido brought this to light following his reaction to a post by Nigerian Music Promoter, Adesegun Adeosun who just wrapped up his own NYSC program and obtained his letter of recommendation from the scheme. This development maybe connected to star act’s refusal to remain in camp for the compulsory 3 weeks designated for the orientation of all corps members in camp. He also violated the code of conduct of the camp by travelling out of the country for international performances.